Dr. Dan Riew is a world-renowned cervical spine surgeon, and is recognized as one of the leading clinical and academic figures in the global spine community. His practice is exclusively limited to the operative treatment of the cervical spine, the only such practice in the US and one of only a handful in the world. Few surgeons in the world perform more cervical spine operations than Dr. Riew, whose procedures range from minimally invasive microsurgical outpatient procedures, to the most complex revision and deformity corrections. Studies show that surgical volume and experience drive successful outcomes and lower complications rates. He has a particular interest in cervical artificial disc replacements and other motion-sparing procedures such as laminoplasties, as well as complex cervical deformities. A doctor’s doctor, over 200 physicians – and hundreds of their family members – have been operated on by Dr. Riew. This number continually grows, as he sees over 100-150 physicians as new patients each year and operates on 30-50 physicians each year. Of particular note are the numerous spine surgeons, both orthopedic and neurosurgeons who have chosen Dr. Riew for their surgical care. His patients also include numerous professional athletes, prominent business leaders, foreign royalty, and TV personalities. Patients from all over the world and every state in the US except Alaska and Maine have been treated by him. He has been recognized on the lists of America’s Top Doctors, and Best Doctors in America continuously since 2001. Upon his move to NYC, he was immediately recognized as one of NYC’s Super Doctors, and has been consistently named as one of the top 25 Spine surgeons in North America by Orthopedics This Week, ever since such lists have been made. Dr. Riew operates in the state-of-the-art Daniel and Jane Och Spine Hospital at NewYork-Presbyterian/Allen, which features treatment facilities, operating rooms, and advanced diagnostic equipment built exclusively for the treatment of spine patients. This new facility consistently earns rave reviews from patients, and the specially trained clinical staff are dedicated to providing the best spine care in the world. 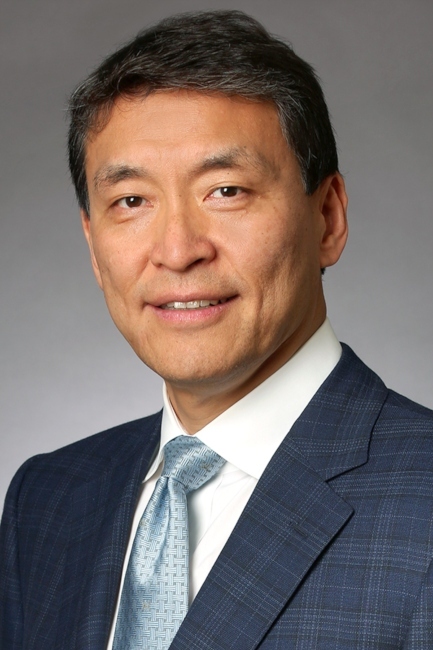 As a global leader in the academic community, Dr. Riew has served as the President of the Cervical Spine Research Society (CSRS), which is the most well-respected society for the treatment of the cervical spine. In addition, he currently serves as Chairman of the International Board of AO Spine, the largest organization of spine surgeons, with over 6,000 members. He has lectured extensively nationally and internationally, improving the treatment of these disorders in other portions of the globe. Dr. Riew has been a Visiting Professor, Key or Named Lecturer over 120 times in 22 countries. Over 100 experienced spine surgeons from all other the world have come to learn from him. He has published over 250 peer-reviewed papers, over 75 chapters and other manuscripts and edited several textbooks.